Pro-Ject 1 Xpression Carbon UKX is the 2013 reincarnation of the original Pro-Ject 1, as designed by the founder of Pro-Ject Audio in the 1990s - the original Pro-Ject turntable which set the benchmark for this high-quality brand. Since the '1' was born, it has been reborn in many forms. The 1 Xpression Carbon is the latest in the extremely popular Xpressions series and the most recent incarnation of the '1'. And it has a few tricks under its dustcover! 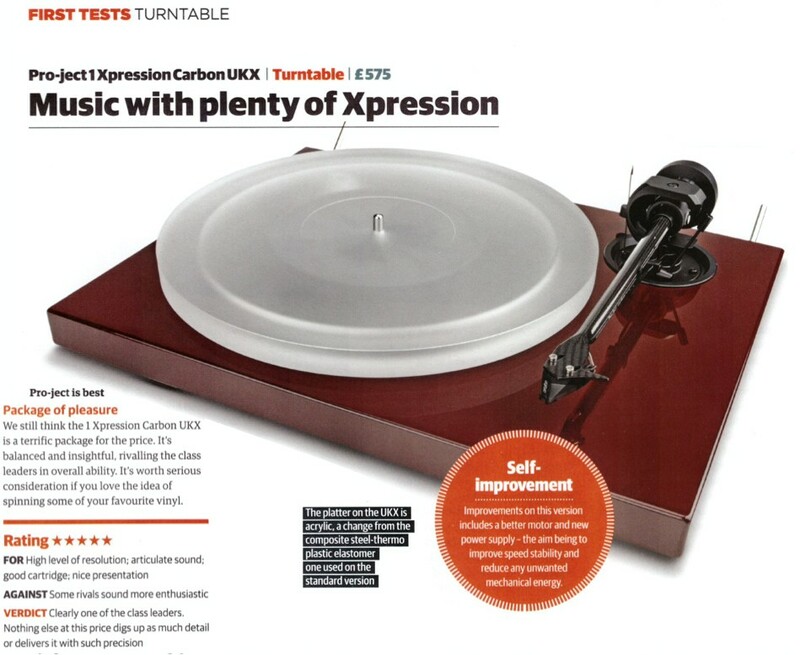 The Xpression Carbon UKX has some very beneficial features which have never been found on Pro-Ject turntables before. Every element has been meticulously designed to offer the best performance for the money - just like the original '1'. The Xpression Carbon is supplied with both a felt and a cork mat, to tailor the sound perfectly for its environment and even comes with its own dust cover. The Xpression Carbon advances on other turntables due to its one-piece carbon fibre tonearm mounted in a brand new heavy-weight assembly. It is inspired by the superior Evolution tonearms. This over-sized support effectively isolates the tonearm from the plinth, taking away any minor resonances in the tonearm and dissipating them immediately. This allows for the original music signal - and only the original signal - to be sent to your amplifier. 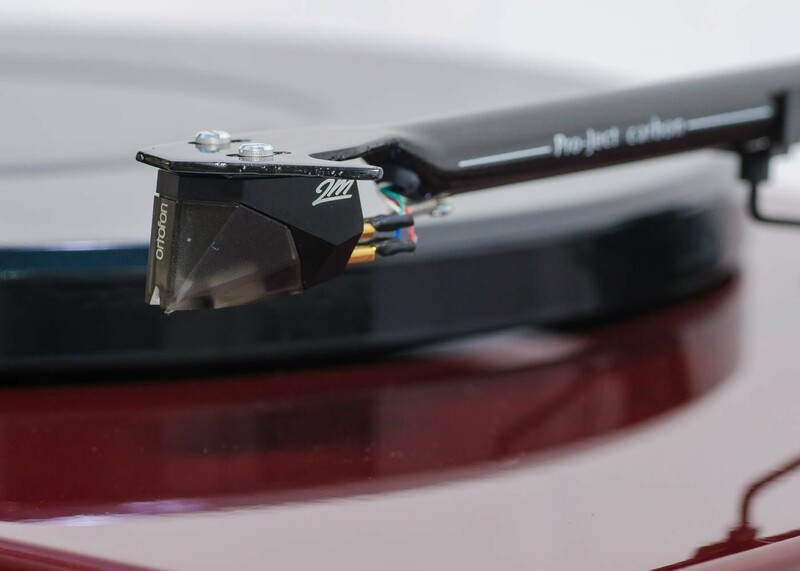 Mounted on the tonearm is the new Ortofon 2M Silver - a special version of Ortofon's world famous 2M Red cartridge, finished with silver spools for optimal signal generation. The Xpression Carbon benefits from a new AC motor design with DC power supply. This unique combination is achieved by incorporating an AC generator on the underside of the turntable - so the DC power supply signal is changed to a clean AC supply. This allows the 9V motor to perform at its optimal level. 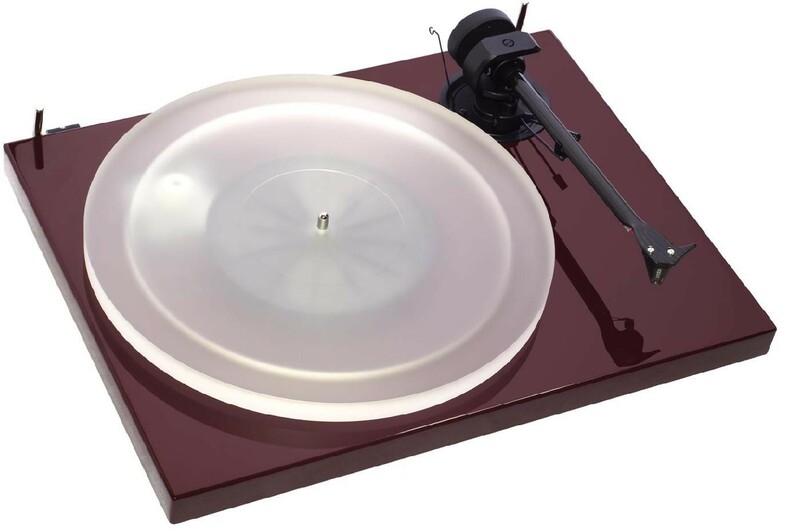 The motor is isolated from the main plinth - to avoid resonance transference - by two rubber gromits designed and manufactured by Ortofon's expert rubber division. The motor applies rotating force to a sub-platter, which drives the acrylic platter. The platter creates an alternative aesthetic and sound. This use of acrylic reduces tinny frequencies and helps accentuate the mid-range.